DO YOU WANT TO REPRESENT GREEK LIFE THREADS? HAVE A PASSION FOR GREEK LIFE, FASHION, OR SOCIAL MEDIA? 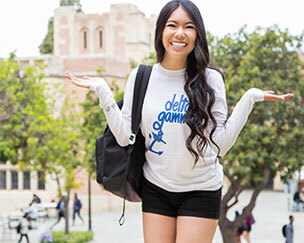 GREEK LIFE THREADS OFFERS A BUNCH OF WAYS FOR YOU TO EARN WHAT YOU WANT. YOU'LL HAVE THE OPPORTUNITY TO REPRESENT THE HIGHEST QUALITY GREEK APPAREL BRAND THAT OFFERS MORE STYLES AND OPTIONS THAN ANY OTHER COMPANY OUT. STOP YOUR GREEK COMMUNITY FROM GOING EVERY WHICH WAY FOR PRINTED SHIRTS, LETTERS, AND ACCESSORIES AND GUIDE THEM TO GREEK LIFE THREADS. As a Campus Rep you will be THE PLUG at your campus for Greek apparel. You will promote GLT to all the Greek chapters on campus to come through you for letters, event shirts, big little everything, hats, socks, pens, you name it! Greek Life Threads can offer it all. As a campus rep you earn a commission on every order you bring in no matter the size. 1 set of letters or 1000 tees you make money, so get on board because business is BOOMIN. You have a massive following on Instagram, or thousands of subs on Youtube. Your theme is related to Greek life, college, or fashion. You are an influencer and you want an outlet to get even bigger, get some free clothes, and make some money. Greek related Youtube videos are extremely popular (we’re sure you already know) and we want to help you post more of them. 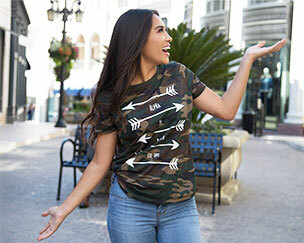 As a Greek Life Threads Influencer you will receive free clothes for related social content and a promotion code to earn a commission from all your followers and subs. Plus they get a discount on their order. It’s like being a campus rep for the nation, just think of the possibilities.